Raid First Look Movie Poster. Trailer Releases Today. 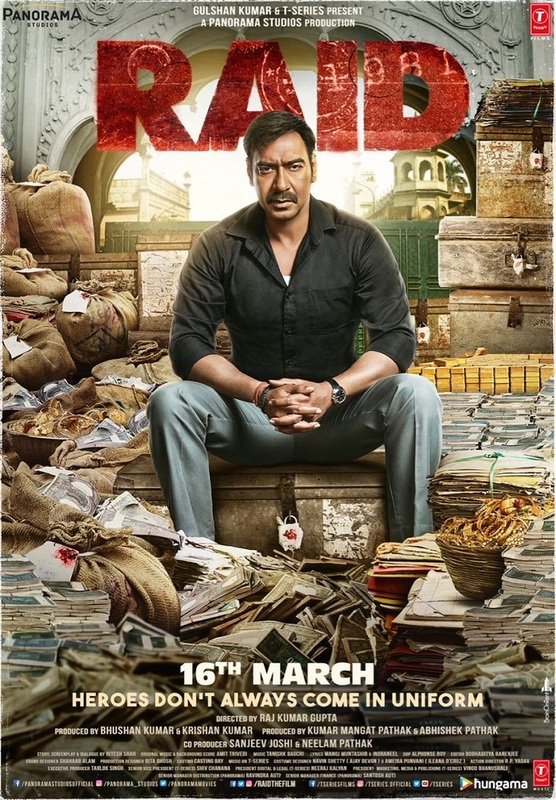 Here is presenting Raid First look Movie Poster starring Ajay Devgn, Ileana D'Cruz. Film is directed by Raj Kumar Gupta and produced by Bhushan Kumar. Film is slated for release on 16 March 2018. Raid Trailer will release today. Trailer will be out very soon. Stay tuned for that. Raid is one of the most awaited film of 2018. Ajay Devgn is back again after the super success of Golmaal Again. Expectation from him is high again. Ileana stars opposite Ajay Devgn in the film. Last time both are seen in Baadshaho. #Dangal needs ₹ 36.42 cr to equal #PK total.